This page describes a sample setup flow for a third party accessory device that implements the AMA Kit. Walkthrough of a sample setup flow that a user goes through when connecting a new AMA-enabled accessory to Alexa, including callouts for the few things that need to be implemented by the device manufacturer. To initiate the AMA Kit setup flow, set needs_setup=true for the accessory. 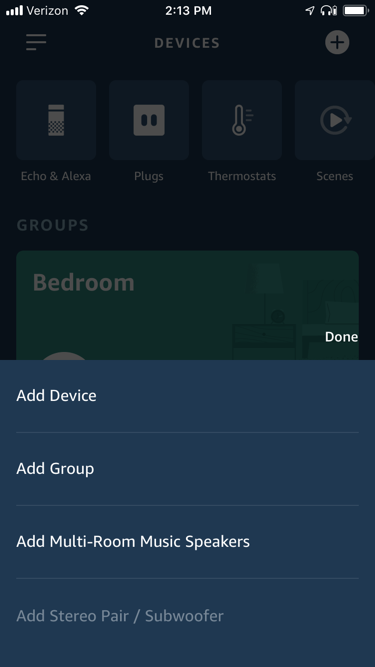 Although the Alexa app stores device information to indicate whether to start the setup flow during the next connection, the accessory itself should store the needs_setup=true value. Storing this value with the accessory allows the accessory itself to specify whether it needs any portion of the setup flow executed, instead of relying on the Alexa app, which might not have the most current information. The accessory only returns needs_setup=true if the accessory has never been set up before and thereafter returns needs_setup=false. In this instance, the app on the phone determines if the accessory needs setup by checking the value of the needs_setup parameter in deviceInformation. To start a setup flow, the Alexa app should send a message to the accessory to indicate that the app has started setup. The accessory should then respond with a success message. These messages are customizable for your accessory and should be flexible for your implementation. The default behavior is for the app to send a start_setup message immediately followed by a complete_setup message. Alexa app installation deep link: A deep link launched within your app's setup flow to prompt first-time Alexa users to download and install the Amazon Alexa app from the appropriate app store, if they have not already done so. Overview of the AMA Kit setup flow. Download and install the Alexa app (if the user has not already installed it). The Alexa app discovers and pairs with the AMA Bluetooth device. Note: The setup instructions included with the AMA-enabled accessory should include a reminder for the user enable Bluetooth on their mobile devices before starting setup. This process walks through a representative sample set of steps for first-time users of the Alexa app who are setting up their new AMA devices. For this scenario, the user is prompted to download and install the Amazon Alexa app from a deep link within the OEM companion app. 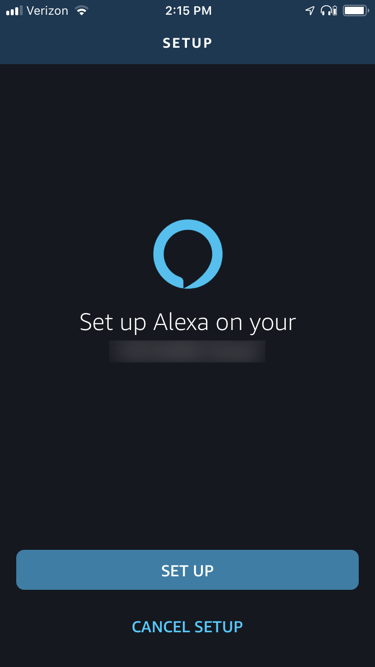 Important: The OEM companion app provided by the device manufacturer will need to provide a deep link to the Alexa Devices screen in order for users to easily complete the setup process. Use Bluetooth to pair the OEM companion app with the AMA device. Perform any firmware updates to the AMA device. On their phone, the user opens the companion app provided by the OEM. 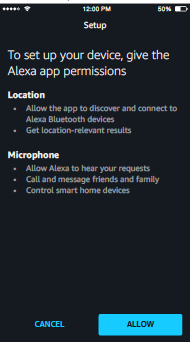 The OEM companion app searches for the Alexa app, which for this use case, would not be installed on the user's phone. 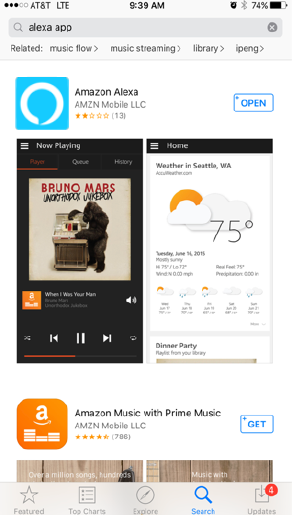 The OEM companion app uses a deep link to prompt the user to install the Alexa app from the appropriate app store. The user installs the Alexa app. When the user opens the Alexa app for the first time, they will be prompted to sign into their Amazon account. In the OEM companion app, prompt the user to configure the Action button for the AMA-enabled device so that Alexa is set as the voice assistant for that device. Prompt the user to click the link to the Alexa Devices page to set up the device in the Alexa app. 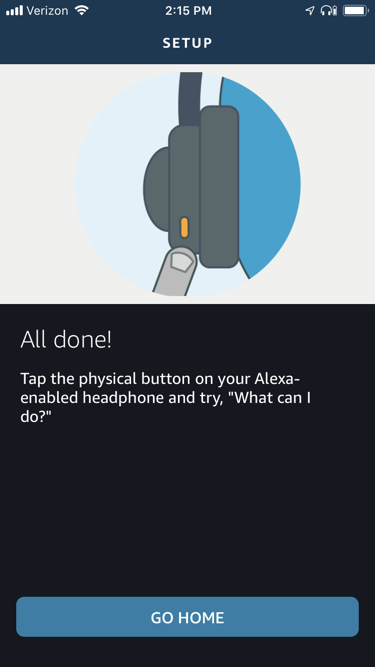 Step 2: The Alexa app discovers and pairs with the AMA Bluetooth device. 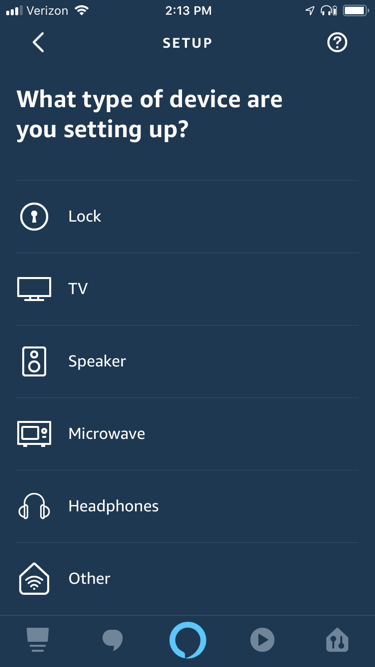 With the Alexa app installed and opened to the Devices page, the user selects a device to set up, and the Alexa app "discovers" the AMA-enabled device. 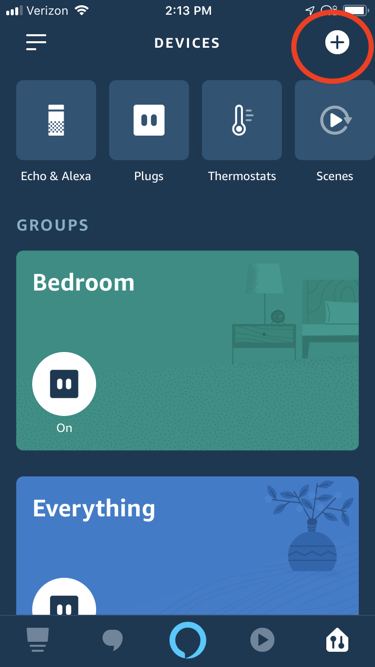 Note: The screen shots of the Alexa app in this section are considered representative examples, but these screens within the app are subject to change, and users might see slightly different screens than the ones shown here. However, the setup flow for new device users should follow the flow outlined here at a high level. The user chooses Add Device. 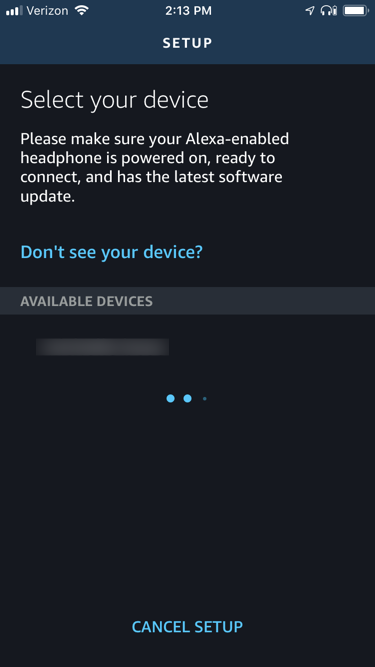 From the menu of available device types, the user chooses the device type, such as Headphones. The user taps the device that they want to set up. If necessary, the Alexa app prompts the user to grant the app Permissions for Location and/or Microphone. This use case describes the process flow for a user who has downloaded the Alexa app and successfully paired their AMA device with the Alexa app. If the user is new to the Alexa app, the app prompts the user for a few pieces of personal information to complete the configuration. The Alexa app notifies the user that setup is complete. The user can now start using Alexa with their AMA device.